Award-winning exhibits trace the Freedom Riders' tumultous journey through the South, along with historic images of the protest and voices of those who supported and opposed the Freedom Rides. 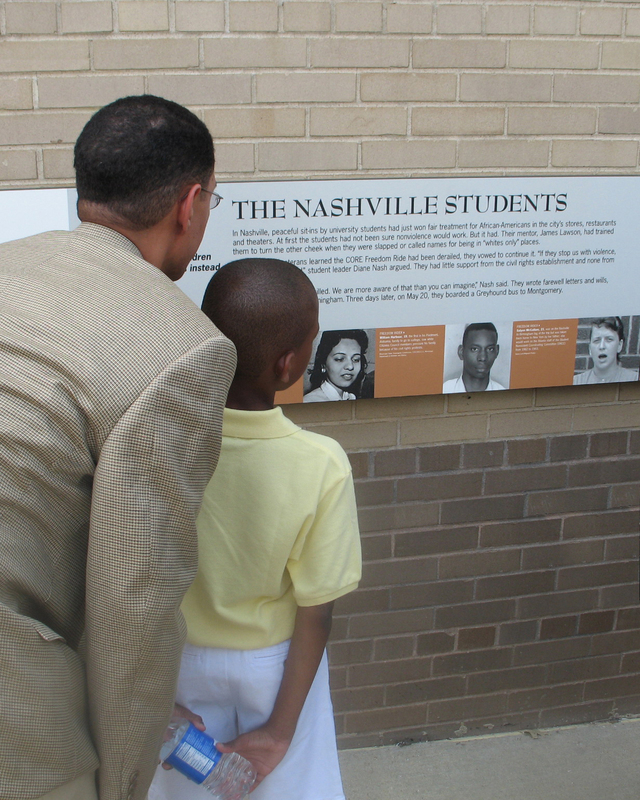 The Share Your Story video exhibit captures the thoughts and feelings of Freedom Riders who have visited the museum, allowing visitors to hear directly from Riders, witnesses, and supporters. The Historic Greyhound Bus Station that hosts the museum is listed in the National Register of Historic Places, and illustrates how buildings were designed for racial segregation. The museum and restrooms are accessible to individuals with physical disabilities. If you have questions or if you anticipate needing special assistance, please contact us at 334-414-8647 or freedomridesmuseum@gmail.com.